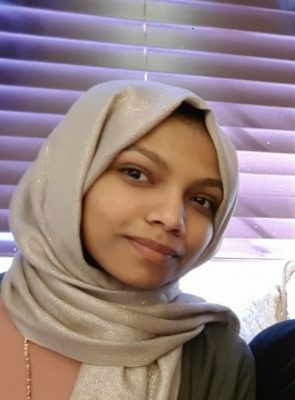 The Western Cape’s top Engen Maths and Science Schools (EMSS) matriculant, Maajidah Arendse hopes to become a successful civil engineer and a proud representative of women in Engineering. “I want to be a part of projects that improve both the built and natural environment by making new discoveries and making the lives of my fellow South Africans better,” says Arendse, who achieved six distinctions, including 85% for science and 89% for English in the 2018 matric exams. These results ensured that she secured a place to study a BSc degree in Civil Engineering at the University of Cape Town in 2019. Arendse, who attended The Oracle Academy High School in Ottery, grew up in Zeekoevlei in Cape Town. She spent every Saturday morning from grades 10-12 attending Engen’s supplementary classes at the Cape Peninsula University of Technology (CPUT), which helped to boost her marks. She credits these extra lessons for her outstanding results. “Waking up early every Saturday morning to attend EMSS classes taught me discipline and showed me the benefits of sacrificing weekend time in order to improve and be consistent in my academics. “The EMSS classes put me at an advantage even at my own school and I knew the sacrifices would be worth it. “The teachers at the EMSS classes always created a positive environment in class and offered useful advice for the preparations of the final matric exams,” she adds. It is exactly youngsters like Arendse that the EMSS programme aims to assist, with a view to not only see them achieve personal success, but also to tackle the bigger issue of helping address key national skills shortages in the engineering, medical and other technical fields. A total of 532 matriculants from across South Africa benefited from Engen-backed extra classes in English, maths and science last year, achieving an impressive 93% pass rate overall against the national rate of 78.2%. The EMSS centre at CPUT is one of nine in South Africa. It is the one that Arendse attended and it attained a 98% pass rate. Two EMSS centres in KwaZulu-Natal, Fairvale and Ganges, boasted 100% pass rates. Engen’s Corporate Social Investment Manager, Adhila Hamdulay says the company is delighted to see Arendse get the chance to study civil engineering. “We are so incredibly proud to see her and all these learners, who epitomise the quality of the young people we work with around the country every year, do so well. Our ultimate reward is to help set them up to pursue stimulating careers that will change their lives, but also benefit the economy as a whole,” adds Hamdulay. The EMSS schools across South Africa run Saturday classes in the Western Cape, Eastern Cape, Gauteng and KwaZulu-Natal. They provide a high-quality learning experience, including teaching and educational materials, for learners from Grade 10 to 12. Equipping people with potential and drive to succeed in their careers sums up Engen’s approach to human capital management and education-focused corporate social investment programmes, says Engen’s head of transformation and stakeholder engagement, Unathi Njokweni-Magida. Engen congratulates the EMSS class of 2018 and offers a well-deserved round of applause to the learners and teachers.